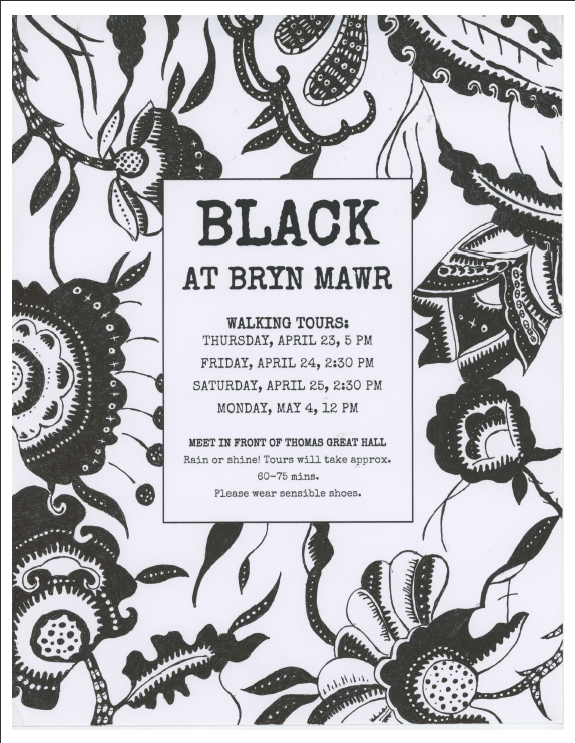 Black at Bryn Mawr poster by Grace Pusey. I’ve had the pleasure of advising a number of projects at Bryn Mawr during my first year, including Black at Bryn Mawr, designed and researched by Grace Pusey and Emma Kioko, graduating seniors. Emma and Grace have taken an important public-facing, place-based approach to rewriting narratives of the College’s history; you can read more about the project here. Together, we are offering walking tours of campus this week and in early May. Grace and Emma’s research blog will serve as the launching pad for my Spring 2016 course, History in Public – Race, Gender, and Campus Memory. Want to learn more? Follow this semester’s work on Twitter (via #BlackatBrynMawr) and our summer research on Facebook: Black at Bryn Mawr.